Your home is one of largest financial investments that you will make in your lifetime. Choosing or finding the proper home inspector for this major purchase can be difficult, confusing and frustrating. I hope that you will take the time to inform yourself of your inspector's qualifications and experience prior to trusting them to protect yourself and your investment. I cannot stress enough that different inspectors will have have varying qualifications, experience, equipment, reporting methods and pricing. Please do not make the mistake of hiring an amateur when your life savings could be at stake. 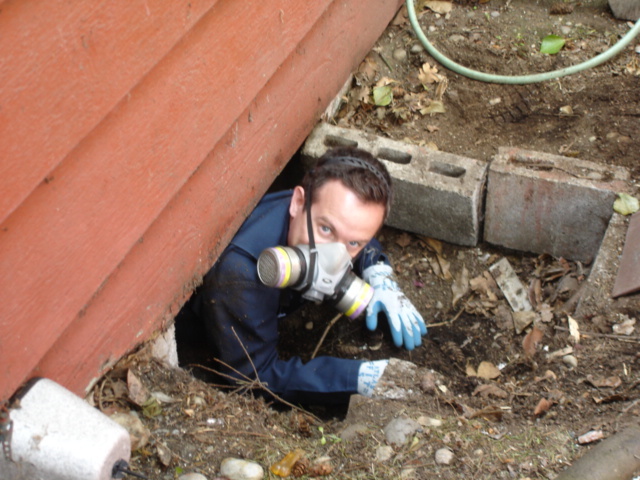 Additionally, a typical home inspection will require the inspector to be physically fit and sized appropriately to access limited clearance areas such as attics and crawlspaces. Is a large guy going to be able to access all areas of your home? From my experience, attics and crawlspace areas can be quite tight! Keep this in mind. This is imperative in order to receive a proper and thorough evaluation of your home. All of the inspections that I provide are referral based. I have been performing home inspections full-time for close to 20 years now. That has equated to approximately 7000 inspections. In this period, I have made numerous lifelong relationships with homeowners and professionals in the real estate industry. This is due to my professional demeanor, integrity, knowledge, experience and attention to detail. The reports I provide include photographs, are computer generated, PROOFREAD and emailed in .pdf format within 24 hours. The majority of the reports are emailed out the same evening. I promise that you will not receive a handwritten checklist that is illegible, nor, will you receive a quickly processed, flashy, and error-ridden report on-site. I take pride in what I do and that includes providing a comprehensive and thought-out report of the structure that is easy to understand. Everything identified during the inspection will be included in your report. No surprises! I want you to know that your participation during the inspection is highly encouraged and welcomed. You should feel free to ask myself any questions you may have during the inspection process. I will point out issues and repairs needed and explain them to you. Additionally, I will explain routine maintenance, how to operate the home's systems and provide helpful information in order to keep your new home in tip-top condition. If I am allowed the honor to inspect your new home, I personally guarantee that I will be inspecting it as if it were for myself, a family member or dear friend. I am a perfectionist with an observant eye for detail. I take great pride and joy in providing prospective homebuyers education and information pertaining to their purchase. Armed with this information, you can feel absolutely confident in your home purchase decision.